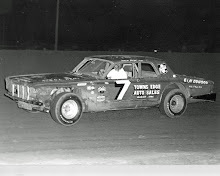 West Chester, Ohio (May 20, 1973) – A tornado with rain blowing parallel to the earth the night before, plus cloudy skies early in the morning hours, didn’t dampen the drivers at Tri-County Speedway. 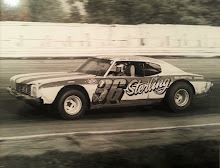 Bill Clemens was the first car out to tour the track and set a one-lap qualifying record of 19.24 seconds or an average speed of 93.55 miles per hour in his 1973 AMC Javelin. Tires were the topic of the day. 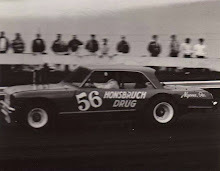 Promoter Frank Canalle ordered all Firestones with the number 26 off of all the race cars. It caused a beehive of activity in the pits with crews scurrying to find a tire that was suitable to run in the race. This caused problems for Larry Moore as he couldn’t locate a suitable set of tires. Clemens started on the pole position and took off as the green flag waved. 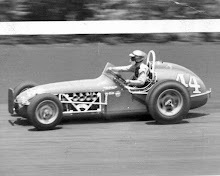 He would lead the first 12 laps of the contest until Bruce Gould blew by Clemens into the top spot. Gould would hold the lead until lap 45 when a broken wheel sent his car into the guardrail in turn two. Gould drove around the track on his rim with his oil pan dragging causing the entire car to erupt in flames as it entered the pit area. The on-board fire extinguisher proved its worth. With Gould gone, Clemens went to the lead with Larry Moore in pursuit. Moore was closing ground when a tire blew entering turn three. He managed to get to the pit and change his tire, but lost several spots. From there, Clemens, with the pressure off, put it on cruise control and glided into winner’s circle. Bobby Watson followed behind for second with Frank Lamp, Ron Hutcherson and Delmar Clark rounding out the top five. After the race was completed, Watson and A. Arnold each put up a protest fee. John Marcum, ARCA boss, had issued a directive to car owners and their drivers that they couldn’t run more than a four-barrel carburetor. 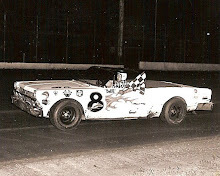 The winner, Bill Clemens, was found running a four-barrel carburetor to win the 100-lap feature. Frank Canalle refused to change the results of the race. After much thought, Marcum decided that Clemens’ carburetor was indeed illegal and awarded the victory to Watson.